Note 4/17/2018: due to interest, start time for April 21 #NoNaziNewnan protest moved forward 1/2 hour. 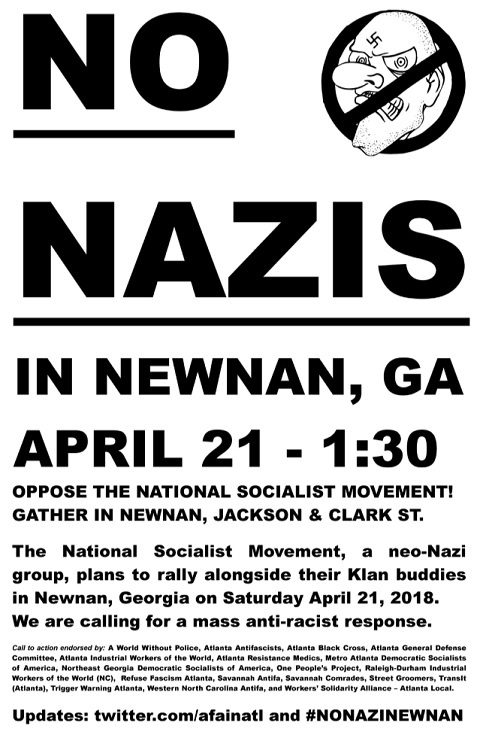 Post also updated with a meeting point for Newnan. Gather in Newnan, 1:30PM, April 21st at the corner of Jackson & Clark St. Follow Atlanta Antifascists’ social media and the #nonazinewnan hashtag for updates.